 » Senior Infants » You&apos;re currently reading "Senior Infant Science Trip!" 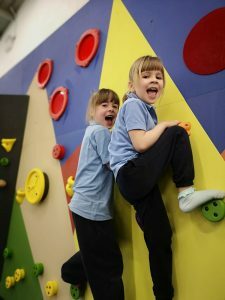 In March, the three senior infant classes went on an outing to Explorium. 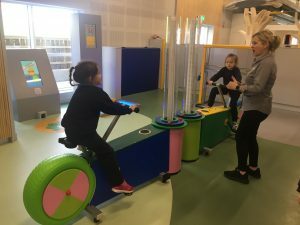 Explorium is the new Science and Sports centre in Sandyford. We travelled by bus and arrived at Ten O’ Clock. We spent two hours freely exploring the exhibits. There were areas where we could play in a pretend shop or dress up and put on a show on a stage! There was a sensory room where our drawings came to life on a giant screen. There was also kinetic energy and musical exhibits exploring the science behind sound. 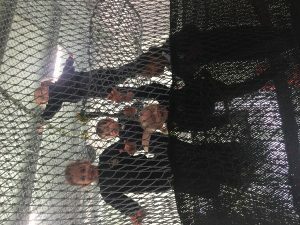 Of course, a popular feature of the day was the indoor adventure course which included a net climbing frame and slide. We really enjoyed our day out!